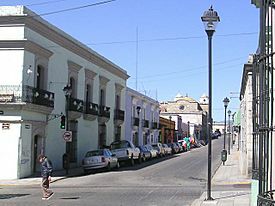 Oaxaca de Juárez is the capital city of the Mexican state of Oaxaca. It is called La'a in the Zapotec language. Ñuu Nunduva is its name in the Mixtec language. 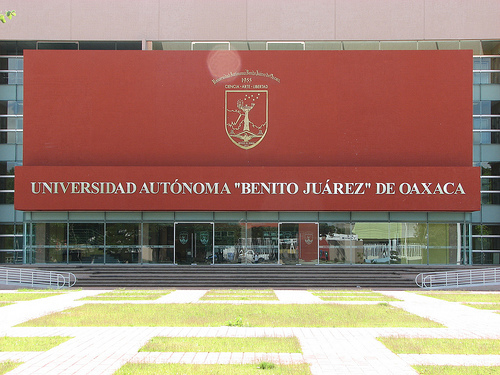 Since 1872, when Benito Juárez died there, the city is called de Juárez, in his honour. Currently, 258,000 people live in the city. Kiosk and gardens located in the Zócalo. The new Guelaguetza Auditorium, completed in 2010. Santo Domingo de Guzmán Church. Jardín Etnobotánico de Oaxaca at the Temple of Santo Domingo. Oaxaca de Juárez Facts for Kids. Kiddle Encyclopedia.